The Federal Government has raised duties on luxury goods such as yachts and Sport Utility Vehicles (SUVs) imported into the country.But also affected are some food items such as rice, salt and sugarcane that have local alternatives. The plan to raise the duties which was first contemplated by former Coordinating Minister for the Economy and Minister of Finance, Dr. Ngozi Okonjo- Iweala under the immediate past administration of Dr. Goodluck Jonathan had remained on the drawing board due to Jonathan’s loss of the presidential election to the incumbent President Muhammadu Buhari and the consequent change of officials between the former administration and the current one. Under the new Economic Community of West Africa (ECOWAS) Common External Tariff (CET) regime which administers import and export tariffs within the West African sub-region in the movement of goods, importers of yachts and other luxury automobiles such as SUVs, boats, sports cars, and other vessels used for pleasure are now to pay 70 per cent of the value of the vehicles as taxes (duties) to the Nigeria Customs Service (NCS). The new rate is a jump from the 20 per cent which the owners currently enjoy. 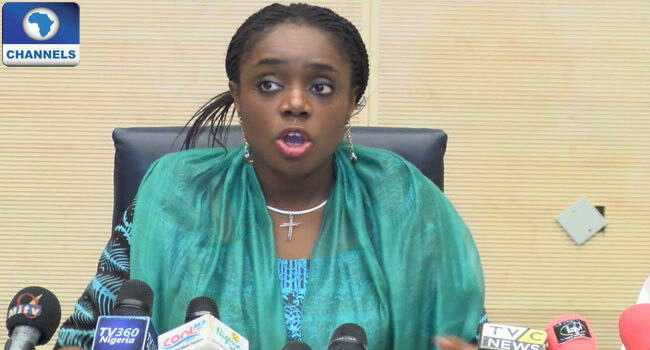 The increase is contained in a circular by the Minister of Finance, Mrs. Kemi Adeosun to the NCS. Other major items affected in the duty increase include sugar cane and salt from 10 per cent to 70 per cent; alcoholic spirit, beverages and tobacco from 20 per cent to 60 per cent; and rice from 10 per cent to 60 per cent. Also included on the list are packaged cement, from 10 per cent to 50 per cent; cotton/ fabrics materials, from 35 per cent to 45 per cent; and used cars popular known as Tokunbo, from 10 per cent to 35 per cent respectively. Medicaments such as anti-malarials and antibiotics; crude palm oil; wheat flour; tomatoes paste; and cassava products are also affected in the upward review of duties. But essential industrial sector accessories, including bolt, industrial oil and other equipment are to enjoy a downward review to spur local industrialisation. The cut in the import tariff on items for industrial use may encourage entrepreneurs whose industries are shut down due to the high duties paid on imported components. Such companies may resume or expand their operations as a result of the incentives. However, while the new policy may trigger a rise in the prices of some consumable goods until the demand for them is met locally, the NCS, which has been grappling with meeting the fiscal target set for it by the Federal Government may boost its revenue. The smuggling of cars into the country may have dealt a very big blow to the customs’ revenue generation as the budget minister recently announced that the NCS’ projected revenue for the third quarter of this year fell short of expectation by N100 billion, recording N200 billion instead of N300 billion target given to the agency by the Federal Government. According to the Finance Minister, Buhari has already approved the new tariff regime.The circular reads in part: “This is to confirm that Mr. President has approved the 2016 fiscal policy measures made up of the Supplementary Protection Measures (SPM) for implementation together with the ECOWAS CET 2015 – 2019 with effect from 17th October, 2016. Adeosun declared that the current fiscal policy measures superseded those of 2015, and advised the customs and other stakeholders to ensure strict compliance.